AIG sued Lawsy's department to block the regulator from fining it for selling insurance overseas without a state license. (Bloomberg) — New York Attorney General Eric Schneiderman asked a judge to dismiss American International Group Inc.’s lawsuit against the state’s top financial regulator, saying the insurer is trying to interfere with a probe of unlicensed overseas insurance sales. “The investigation of AIG is not complete, and it remains to be seen what statutory violations, if any, would be charged,” Schneiderman said in a memo to U.S. District Judge Alison Nathan in Manhattan. 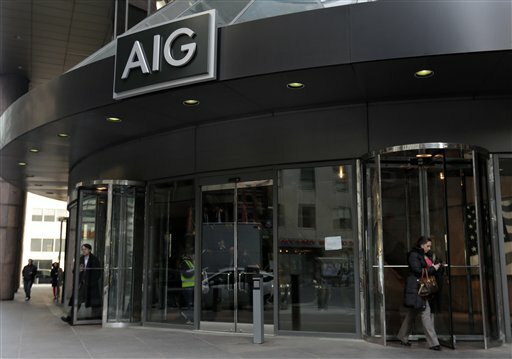 AIG, based in New York, sued the Department of Financial Services and its superintendent, Benjamin Lawsky, in April to block the regulator from fining it for selling insurance overseas without a state license. The insurer claims the state law is unconstitutional, violates its free-speech rights and discriminates against out-of-state commerce. AIG was rescued by taxpayers in a bailout that began in 2008 and swelled to $182.3 billion. The insurer finished repaying the U.S. in 2012. John Diat, an AIG spokesman, declined to comment on Scheiderman’s request. The suit by AIG against Lawsky involves a former AIG life insurance unit, American Life Insurance Co., or Alico. A March 31 consent order signed by Lawsky with MetLife Inc. found that Alico, and Delaware American Life Insurance Co., DelAm, violated insurance regulations by marketing from New York group life, disability and medical insurance to companies with overseas operations, without being licensed by the state. AIG sold Alico and DelAm to MetLife in 2010. In the same order, Lawsky’s agency found that Alico made “misrepresentations and omissions” about its insurance business to the state Insurance Department, a predecessor to the Department of Financial Services. Lawsky’s department also in the March order said Alico was told that unlicensed insurance companies are limited to performing back-office functions in New York. MetLife agreed to pay $60 million to resolve its part in the probe, with $50 million going to Lawsky’s agency and $10 million to the office of Manhattan District Attorney Cyrus R. Vance Jr. The case is American International Group, Inc. v. New York State Department of Financial Services, 14-cv-2355 U.S. District Court, Southern District of New York, (Manhattan).